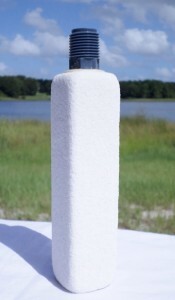 1.5″ x 1.5″ x 6″ w 1/4″ barb connector Medium Pore Air Diffuser. Simply put these are the highest quality air diffusers on the market today !!!! Made of 100% glass bonded silica each item is hand tooled in BubbleMac’s Central Florida shop. BubbleMac diffusers are time tested and proven, considered the “industry standard” for 35 years. The round grain pore structure, low resistance and uniform porosity make BubbleMac diffusers an excellent choice for aquaculture, Aquaponic, Hydroponic, wastewater and lake aeration applications. Durable, low maintenance and manufacturer guaranteed for 2 years. BubbleMac brand air diffusers produce a uniform bubble and with an air resistance of less then 0.25 psi are compatible with most low pressure blowers. 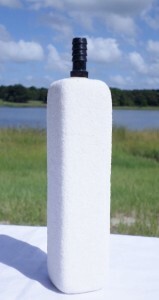 In most soft water applications, you won’t need to clean this diffuser for more than a year. 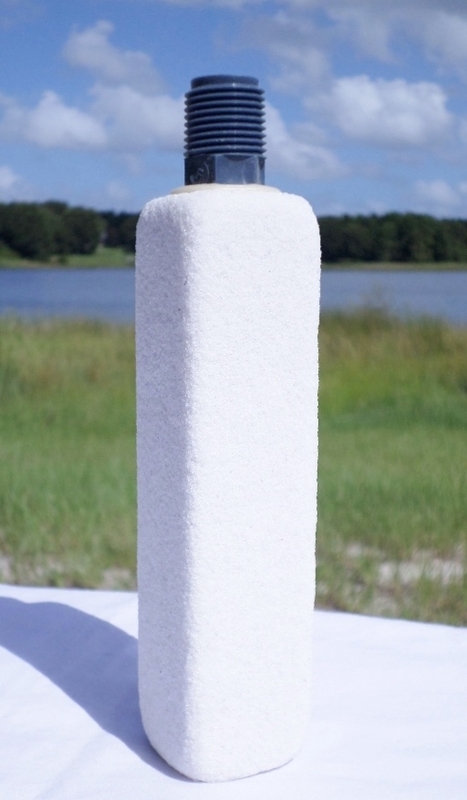 The BubbleMac air diffuser is not an imitation or copy. BEWARE OF IMITATIONS……. BubbleMac diffusers are the original 2000° F glass-bonded silica diffusers introduced in 1978 by Bob Heideman, founder of Aquatic Eco-Systems. The “other guys” may try to copy our sizes, descriptions and even our photos, but it takes more than flattering imitation to compete with “the best.” Look for the name and the two-year warranty. Made in the USA. If I have not listed very many as available and you want to order more, that just means you should contact me (I can do large orders) I just need to check the shipping for the quantity you want and I’ll send you a paypal invoice for the order. Please include the shipping address, size, quantity, and fittings for the airstones you want, when you contact me and I’ll find out the shipping cost and get you the invoice. If you don’t hear back from me ASAP check your spam folder.